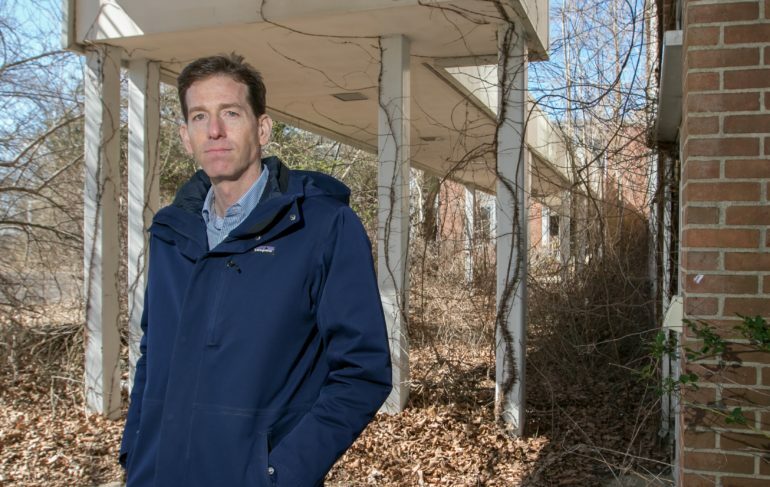 There was a time when the sprawling former American Cyanamid complex in West Windsor bustled with more than 1,000 employees and agricultural researchers. A developer hopes to see the property bustling once again — but in a much different way. The firm, the Howard Hughes Corp., is in the early stages of crafting a proposal to redevelop the blighted 653-acre site. A recent concept plan submitted to local officials outlines nearly 2,000 homes — including a mix of apartments, townhomes and single-family dwellings — along with more than a million square feet of office and retailers and some 240 acres of open space. The ambitious concept speaks to the potential of the site, which sits along Route 1, minutes from downtown Princeton and in the heart of the Northeast Corridor. But the opportunity comes with several questions, such as how residents and the governing body will respond to the plan as well as ongoing litigation over the township’s affordable housing obligations. The property is anything but bustling today. Made up of some 60 buildings, the former research complex has become overgrown with brush and trees since being vacated more than a decade ago. The site includes shuttered greenhouses, utility structures, low-slung office and lab buildings and a silo, all of which would be torn down to make way for any redevelopment. 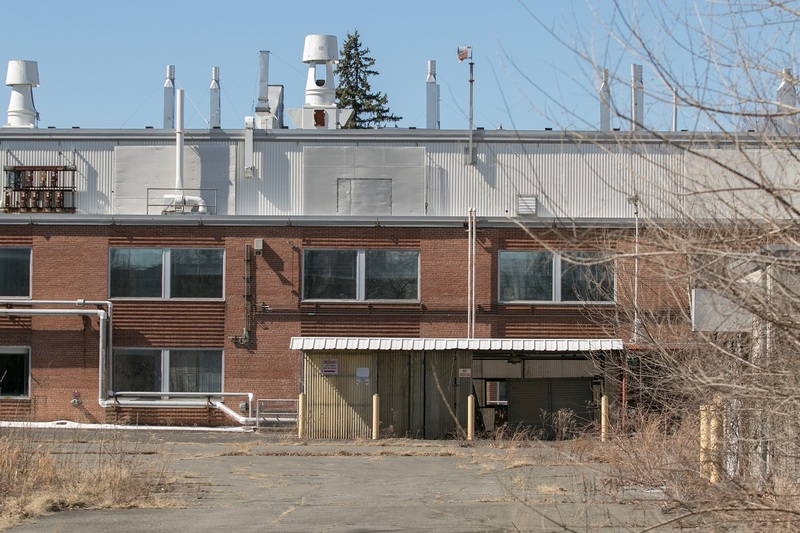 American Cyanamid Co., a defunct chemical manufacturer, built the complex in the 1950s within a site bounded by Route 1, Quaker Bridge Road and the Northeast Corridor rail line. Agricultural research took place at the site for decades as the operation went through a series of mergers and spinoffs, before ultimately shutting down in 2004. General Growth Properties took control of the property and owned it for about six years before spinning off several units, including the Howard Hughes Corp., in late 2010. After submitting its concept plan in mid-February, the company is now slated to appear before the West Windsor planning board in early May. Meister emphasized that it was “the beginning of the process with the township,” but said the mixed-use concept is meant to ease concerns such as traffic and the possibility of cannibalizing other commercial uses in the area. As such, the proposal includes a high-density village center across roughly 28 acres, along with a 23-acre “gateway” along Route 1 made up of modern office buildings and a hotel. Two other components that could win over residents are the open space and a roughly 32-acre tract that has been set aside for a new school. Meister said “there are capacity issues already (with the school district), and we think we can be part of the solution” for both new residents the Howard Hughes site and residents that might be created at other redevelopment areas in the township. The project could take at least 15 years at full build-out, which Meister said could occur in about three phases. The Howard Hughes Corp. has prepared a preliminary concept plan rendering for the 653-acre former American Cyanamid site in West Windsor. With the plan still in its earliest stages, it remains to be seen how political leaders and residents take to the prospect of thousands of new residents in their town. Not to mention that West Windsor is embroiled in a high-profile battle over its affordable housing requirements. The municipality is one of five in Mercer County that is involved in a trial against an advocacy group and developers, following the state Supreme Court’s decision to disband the state Council on Affordable Housing in 2015. The development firm has appeared before the township council before. 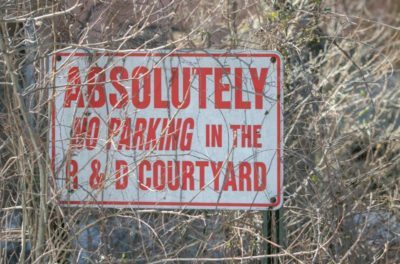 In 2014, executives asked the governing body to declare the site an area in need of redevelopment, a designation that would pave the way for tax abatements and other financing tools, but the council said it first wanted a concept plan. At the time, Howard Hughes said the property’s value had declined by more than 70 percent from a decade earlier, with tax revenue falling to around $550,000 from $2 million during that span. Under the most recent concept plan, the firm has estimated the project at full build-out would produce more than $8 million in tax revenue. Reaching that point could depend on a variety of uses, according to Howard Hughes’ recent concept plan. The proposal also includes about 1 million square feet of office space and 275,000 square feet of retail, and while the Route 1 corridor already has plenty of both, Meister said a project that is both modern and unique can be complementary to the existing stock. 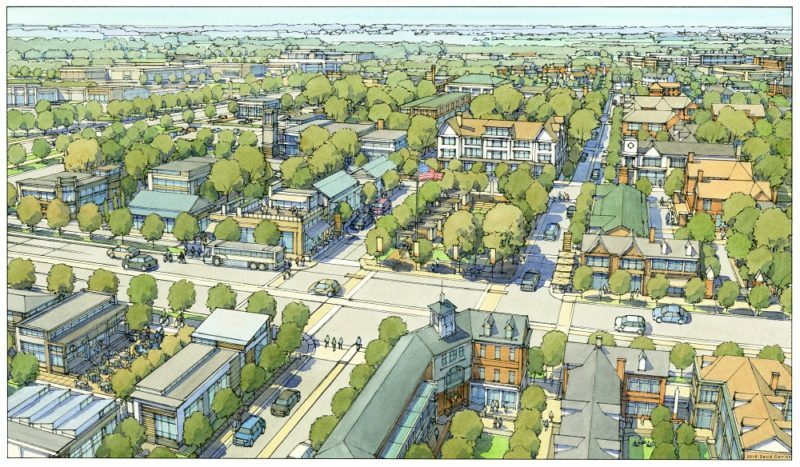 As the Howard Hughes Corp. looks to create a new highdensity, pedestrian-friendly town center in West Windsor, walkability and mass transit will be key ingredients. 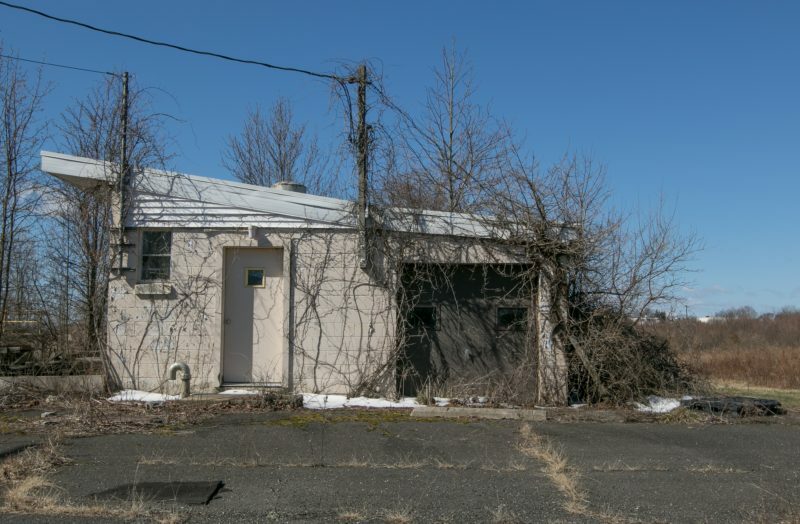 Already, the former American Cyanamid site benefits from being just a five-minute drive from the Princeton Junction train station in the township. Meister said the firm plans to offer shuttle service to the station as the sprawling mixed-use development takes shape, adding that the firm also anticipates increased bus service to the area. He also noted that the firm is keeping its options open to support the possibility that NJ Transit adds another stop on the Northeast Corridor line between Princeton Junction and Hamilton.